Find travel insurance over 65 now. Get a quote online or on the phone for over 65 travel insurance with pre-existing medical conditions. There are many people in the UK over 65 who want to travel the world. Some may feel that the medical problems they have are holding them back from going on the holiday of their dreams, other are just concerned that being over 65 means their insurance costs are likely to be very high. Even more upsetting can be the thought that older people cannot afford to visit family abroad because of expensive travel insurance premiums charged because of their age or due to an existing medical problem. The best bet is to shop around - it's important to have proper cover because medical costs abroad can be very expensive and without adequate insurance cover you can end up facing financial ruin if you suffer from a health-related problem while abroad. There are numerous different options to help you choose the right travel insurance and, if necessary, get the best the pre-existing medical travel cover available in the market today. The good thing about travelling abroad when you are fully insured, but perhaps not in the best of health, is that you can relax and unwind while away without having to worry about issues such as whether or not you are covered should something bad happen. Something to bear in mind when looking for relevant travel insurance to cover you when you are over 65 or wanting to cover a specific health condition is to remember that you should always tell the truth when making an application for insurance. If you do not reveal you full state of health and make a claim on your insurance at a later date, it could be invalid and you'd be left to cover full medical and repatriation costs back to the UK. What are the requirements for obtaining travel insurance for travel insurance over 65? How expensive is travel insurance for the over 65s? Straightforward travel insurance for someone just over 65 can be very affordable although if there are significant medical problems it can be more expensive. Travel insurance for the over 65s travelling to the USA and Canada is more expensive due to the costs of medical treatment in those countries, as it can be in Spain and Cyprus, where bills are amongst the highest in Europe. For a certain price, travellers with specific medical conditions will be able to travel abroad knowing that, if anything happens, they are covered and have an insurance company supporting them. How much it costs depends on your individual circumstances, where you are travelling to and what your health issue may be. Where can I purchase travel insurance for travel insurance over 65? 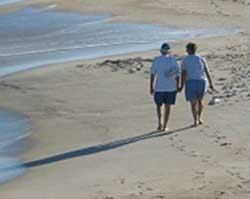 Travel insurance when you are over 65 can be purchased in many ways. You can even get a quote for a pre-existing medical travel insurance, or for older people's travel insurance online or over the telephone. These days there are numerous platforms available, so purchasing travel insurance when in bad health is a procedure that can be solved within minutes.